It's back! Well, it's been back for about a month now. But that doesn't matter to me or this post. And, I know, I know. Last year I said I wasn't going to write a post for Shade. And, last year I meant it. 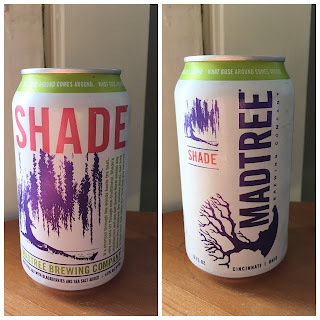 But, I as soon as MadTree announced the triumphant return of their gose-styled ale, my go-to summer brew (which was sometime in January or February, I think), I knew that I'd be breaking my word and writing a blog post about it. Things can change in a year, right? Now this is where we find ourselves. Me, sitting the bed in my scorching hot bedroom; an opened, koozied can of Shade on the nightstand beside me; and you reading this on your computer or smart device or whatever, presumably you also have an open can of Shade near you. Well, at least, I hope that you do. Because I will say this now, before this post gets any further. Shade is good. And you owe it to yourself (no matter what you've done to deserve it) to track it down and drink it. I know about MadTree. You know about MadTree. I've posted about them half a dozen times (including a brief mentioning in an Ohio Brew Week nightly round-up post last year). Don't believe me? Click the magnifying glass icon in the upper right hand of your screen and run a search for "MadTree." You'll see. Actually, you'll see seven (it'll count this one, too). You and I both know that they're pretty big movers in my community. In fact, they partner with local charity organizations all the time. If you want to explore more, including recipes for making their beer yourself (which would indicate you're a much better homebrewer than I), check out their website. One thing you won't find on that site, however, is Shade. Believe me, I checked. But don't worry because I've got you covered. This photo, posted by MadTree on their Facebook page, says that the brew is a gose-style ale (gose is a salty, sour beer) that has blackberries and sea salt for additives. At 4.6% ABV, it's a nice airy brew that seems to make for the perfect lawnmower beer. Is really the perfect lawnmower beer, though? Yes. Take, for instance, its aroma. Its sweet and salty. While there is a distinct note or two of sourness, it doesn't give off an adequate impression of the ale's flavors. Well, except for the saltiness. That's equally present in nose and taste. Purrl gave this specific can three whiffs, but, I swear, she's given other cans upmost of six. The flavor department is really where the brew's umph lies. Each swig produces a concentration of blackberry at the center of my mouth, which quickly spreads out to my cheeks in a burst of sour. The salt makes its presence known in Shade's finish. After swallowing, it lingers around in my mouth and makes me anticipate the next swig. This is a nice, crisp, refreshing beer. I used the word "airy" earlier, and I think that's a perfect description of Shade's mouthfeel. 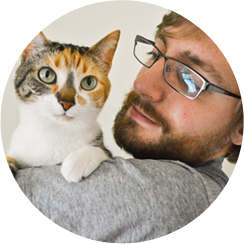 Its friendly and pleasant. Bubbly but not obnoxiously so. Shade screams summer to me. Specifically, the summer when I was sixteen and my friends and I were all lifeguards at our town's community pool. It had recently been converted to a full-blown waterpark (that's what the city called it, anyway) with a playfort for kids, waterslides, and those mushroom-shaped fountain things. It closed at eight each night, and for the first month or so of my employment there I loved working that closing shift. This is because, after closing, the guards and other employees had the run of the place. We quickly invented a game where some of us would climb up the slide component of one of the waterslides (the one you were supposed use inner tubes on) while someone would go down it and try to knock over everyone climbing. We affectionally called this bowling. We would also had a ton of fun on the body slide. It had a tunnel with a small, open length before it emptied into the pool at the bottom. We'd fly down it and try to stand up in the space between the tunnel's exit and the pool. Eight o'clock was perfect. It was still light enough to do all of this, but just enough darkness was encroaching on that light to add a sense of dangerousness to the whole affair. Unfortunately, our bosses found out what we were doing and we all got in a hell of a lot of trouble. That ended everything pretty quickly. 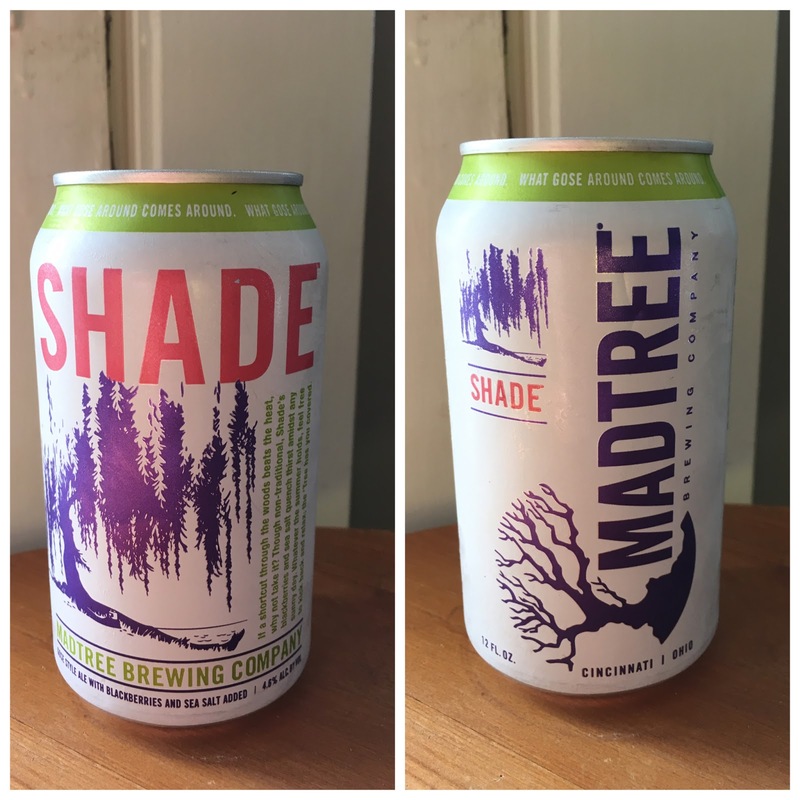 All this to say: MadTree's Shade is good. I love Shade. And I know you'll love it, too. It probably goes without saying, but this gose-style ale warrants a rock-solid 10/10 from me. If you didn't have a can when you read this post, go get one. Right now.